In this exclusive audio interview Emmy Winner Charlotte Robinson host of OUTTAKE VOICES™ talks with rap performance artist Cazwell who will host the new original music video series Boombox this June exclusively on here! TV and here! Online. Boombox is a genre-bending, no-holds-barred music video series, starring Cazwell, who will occasionally be joined by fashionable friends such as Amanda Lepore and J.D. Samson (of MEN and Le Tigre). 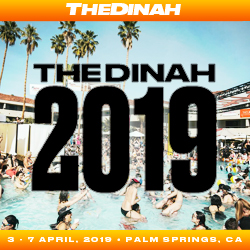 The show features cutting-edge world premiere videos, exclusive interviews and with amazing guests is destined to be the most talked-about music show of the year. Cazwell has become a staple of New York’s club scene and has been a leading figure in the renaissance of New York City nightlife that has taken place over the last five years. Cazwell’s music mix of electrified dance beats and old-school hip-hop embodies the new spirit of pop. Bridging the gap between avant-garde club culture and the cutting edge of mainstream music, Cazwell is one of today’s most distinctive and charismatic performers. 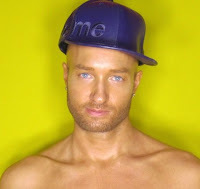 Cazwell has collaborated with a variety of musical and visual artists including Lady Gaga, David LaChapelle, Marco Ovando, Bec Stupak and his muse Amanda Lepore.